American artist Tara Donovan currently shows her work in Europe for the first time. Exhibiting 21 large-sized sculptures and works on the wall, Donovan turns the gallery spaces of the Richard Meier building in Remagen into a macrocosm. 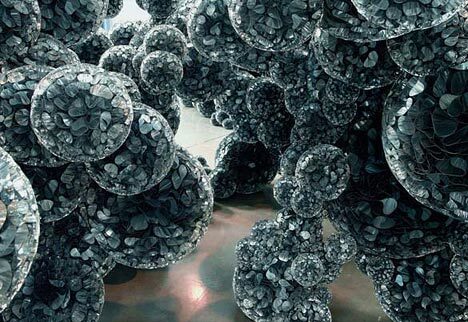 Tara Donovan is acclaimed for her large-scale installations and sculptures made from everyday objects. Known for her commitment to process, she has earned acclaim for her ability to discover the inherent physical characteristics of an object and transform it into art.